Our 200-hour teacher training program primarily focuses on Flow-based Hatha Yoga, perfect for students interested in teaching Hatha, Vinyasa and/or Ashtanga style asana classes to a variety of students. Instruction focuses on developing skills for safe, well-crafted, flow-based classes including intelligent sequencing, effective speech, modifications for injury prevention, and considerations for diverse abilities. Topics such as alignment, prop usage, developing your voice, and assessing the needs of individual students. In addition, our training programs cover standard ethical and business practices. Trainees will learn to deepen and develop their own practice, broadening their understanding of Yoga, its history, and its applications. Students should have a regular yoga practice (at least 2-3 times per week) prior to training. Instruction will mainly focus on classical asana methodologies, so expect to participate in appropriate movement throughout training. Trainees will be expected to attend public classes outside of training hours. Additional Steadfast & True studio yoga classes may be provided at no cost dependent on which track students choose. We offer 3 different tracks of learning. Meets every Thursday night from 7:15-9:15pm for an entire year (excluding holidays) with 2 mandatory weekend workshops. Our 2019 Weekend Program has been canceled. Be on the lookout for future weekend options. Meets Monday - Friday, 8am - 6pm, for three weeks with 1 mandatory weekend workshop (will meet from 6pm - 9pm only on 9/27). There will be a 1-hour daily lunch break. Instruction will be provided by studio owner Gillian St. Clair and an experienced team of regular studio teachers and guest instructors. Teachers will come from an array of traditions, yoga styles and movement backgrounds, exposing you to a variety of yogic knowledge and experience. A full faculty list will be provided prior to the start of each training dependent on teacher availability. However, each track will include expert guidance in yoga history, anatomy, structuring private lessons, and a variety of styles including Restorative, Yin and Iyengar traditions. 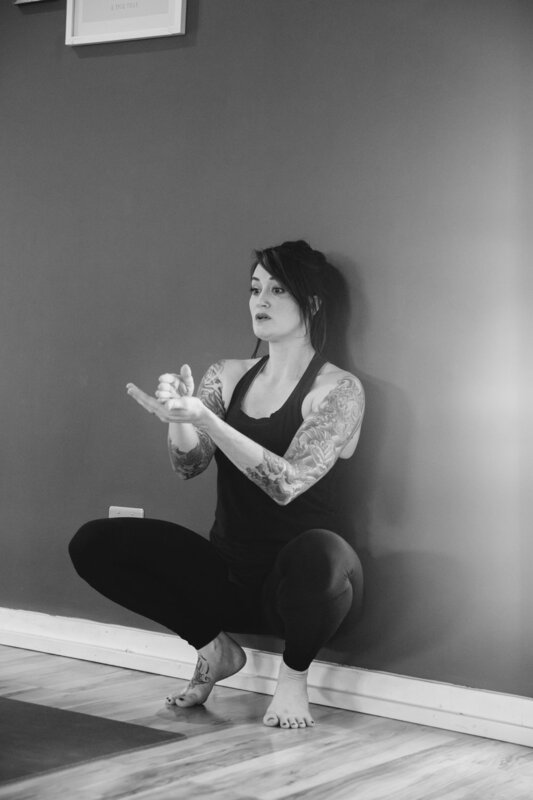 While most instruction will focus on asana methodologies, some advanced techniques not often included in asana-based classes will be covered including pranayama and meditation. Steadfast and True Yoga School is a nationally registered yoga school with the Yoga Alliance. Students who complete the full Yoga School program, including all contact hours and program requirements, will receive a Certificate of Completion. With this certificate they are eligible to become a nationally Registered Yoga Teacher (RYT-200) through Yoga Alliance. To learn more about all of our upcoming teacher training options plan on attending our Meet & Greet, Saturday, January 5th at 1:30 pm. Gillian St. Clair, other staff, and former trainees will be on hand to answer questions, explain expectations, and discuss your options more in depth. The $500 deposit is nonrefundable. All payments made after the start of the program are nonrefundable. Plan on attending our upcoming Meet & Greet on Saturday, January 5 at 1:30pm or email ytt@steadfastandtrueyoga.com.